We offer organized physical activities and games, art based programming and hands on activities in a safe, caring and enjoyable atmosphere. We have a variety of extra-curricular activities to enhance your child’s school experience: Robotics, Musicals, Sports and Math Olympics. We have many partnerships with organizations within the Dorval community. Our students proudly participate in many community events. 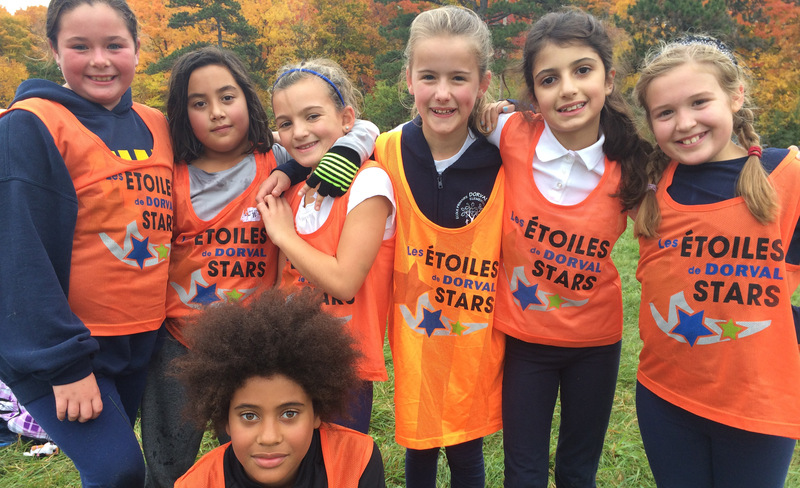 Our school was founded in 2006 through the merger of two former Dorval school communities: St. Veronica and Courtland Park. Dorval Elementary is surrounded by both asphalted and grass covered areas and is adjacent to a public park. We are fortunate to be so close to a soccer field (skating rink in the winter) a basketball court and the city of Dorval play equipment. Dorval Elementary is truly a community school! Our staff, parents, and community members, work together to help foster a well-balanced education for our students. We offer an extensive Music and Band Program as well as a Science and Technology Specialist. Physical education and various collaborative and out-of-classroom activities figure prominently in our approach to educating our students. This website contains important information and news about our school and community. Please feel free to contact the office, if you have any questions or concerns. Our dynamic staff is committed to your child’s academic success and overall development. A dynamic program where students will learn to play a band instrument and can opt to perform in a musical play. The use of technology enhances student learning. There are many opportunities to participate is a variety sports and organized activities at all levels.